Back to Blogging – Meal Planning and Me! Hello! I’m back! Apologies I have been a bit AWOL recently. First there were the Easter holidays and we had lots on, but to be honest I lost a bit of motivation. I took part in a blogging course over Easter, and it shook me a little bit. So many people who were participating have great blogs and the more I looked at the less I felt I had to say. I think it made me realise I had lost my momentum with blogging and I felt I needed to take a step back to reevaluate what I was doing this for. When I decided to set up the blog I thought the whole process would be quite refreshing and cathartic, that I would be able to vent my frustrations, and reflect on good times in order to keep the memories alive for the future as well as helping me learn from mistakes… and if I was able to help any other mums (or dads) in the mean time then that would be a bonus. I don’t think that has been the case though. I got a bit bogged down in trying to write different things for different reasons and I wasn’t being true to myself. So here I am, back with a fresh head to just write about me, my family and our experiences. Hopefully you’ll like it and stick around! 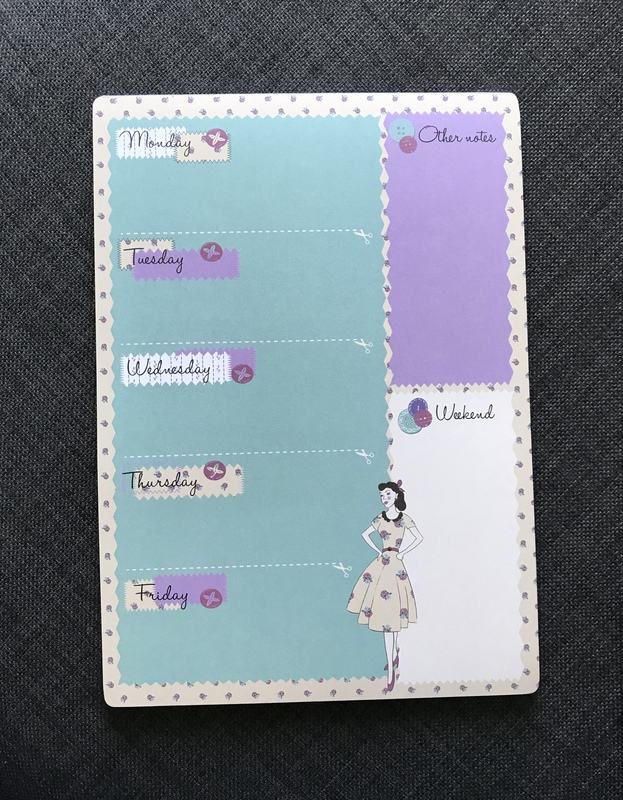 Back in January I wrote a post about how I was going to “try” to be more organised (you can read Happy New Year here) but that has not worked. I felt particularly unprepared through the Easter holidays for meals particularly, we had so many takeaways and junk meals so I made the decision that we would try and stick to a meal plan last week… as long as a certain little person gave me time to prepare and I hoped it would save us some money too! So many people meal plan. I see it on Instagram, people blog about it, it’s everywhere. I often wonder how it can work though, what if you plan something and your family don’t fancy it? That’s what’s always put me off, we can be a fussy bunch! But I decided to give it a go and even used a fancy weekly calendar. I also liked the idea of meal planning as I thought it would give me some tasty, nutritious options for Grace as she was living on banana, broccoli and yoghurt! Tuesday – Spaghetti bolognaise… or lasagne. On reflection, meal planning did not go well. Firstly, overnight on the Sunday I was struck down with some mystery bug so the thought of cooking anything was enough to turn my stomach on the Monday! The week did get a bit better, but it wasn’t as I planned. On Tuesday I made the cod and cauliflower in cheese sauce for Oliver and Grace, but neither of them were impressed. That’s off the menu in future! Another problem was that we didn’t have any chicken to make Hunter’s chicken, so thats been delayed to this week (meat delivery is coming today!! ), but the lasagne was a bit more successful (albeit I made it on Wednesday rather than Tuesday). I’m pleased I managed to get some meals from the plan made, and I did feel a bit more organised doing it, but I haven’t made a meal plan for this week! Bank holiday Monday really confused me! I will be doing another at the weekend for next week. Keep your fingers crossed for me that it works better next time!